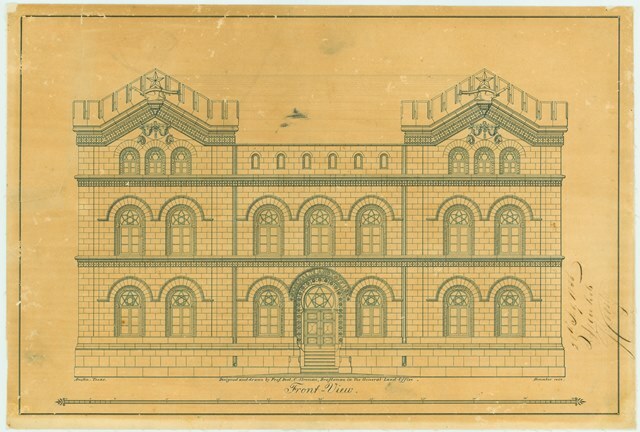 West elevation drawing of the General Land Office by Christoph Stremme, c. 1854. 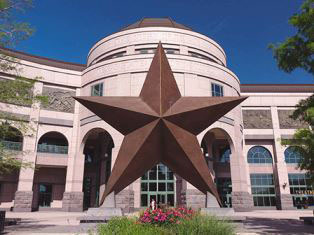 Image Courtesy Texas State Library and Archives Commission, 2004/001-9-1. 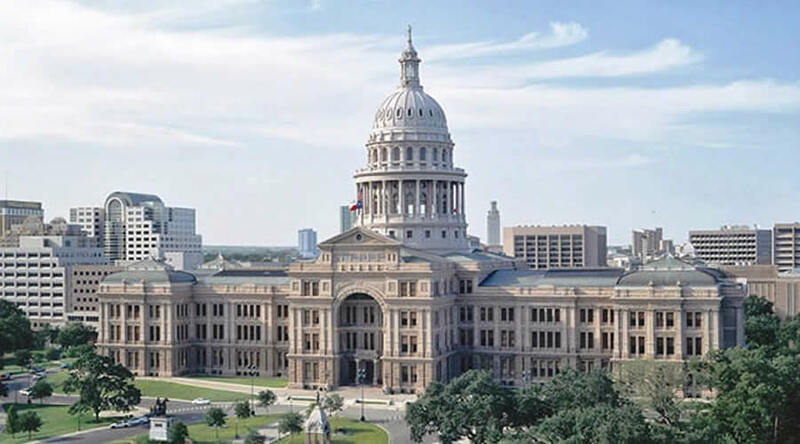 Christoph Conrad Stremme drew plans for a permanent building to house the Texas General Land Office, the agency responsible for overseeing all state-owned land. Inspired by architectural trends in his native Germany, Stremme's castle-like design combined classical and medieval elements. 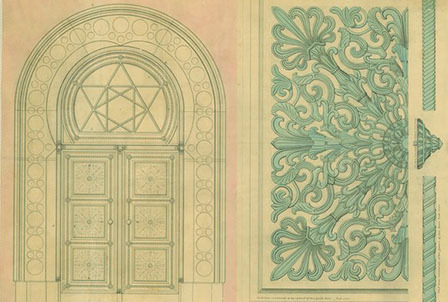 Door detail drawing of the General Land Office by Christoph Stremme, c. 1854. 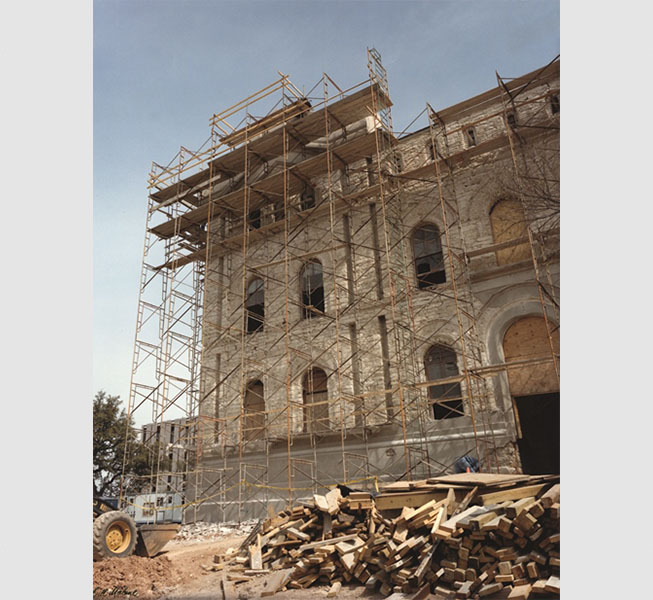 Image Courtesy Texas State Library and Archives Commission, 2004/001-9-2. Builders constructed the new headquarters for the Land Office. The building included two large parapets as well round arches and drip moldings above the doors and windows. 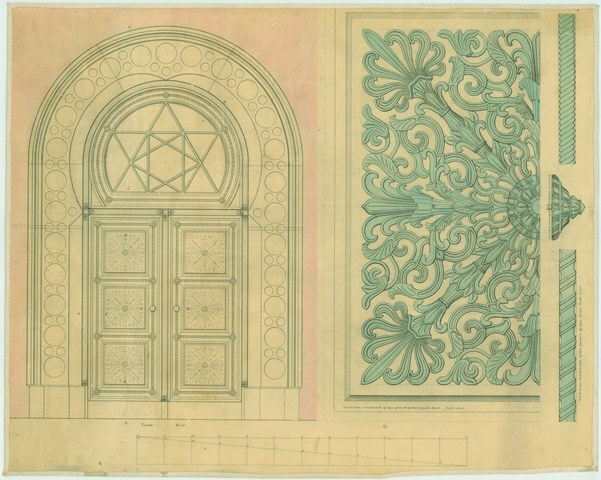 Workers added a number of other unique decorative elements such as five-pointed star transoms, stucco scoring to imitate stone blocks and a spiral staircase. 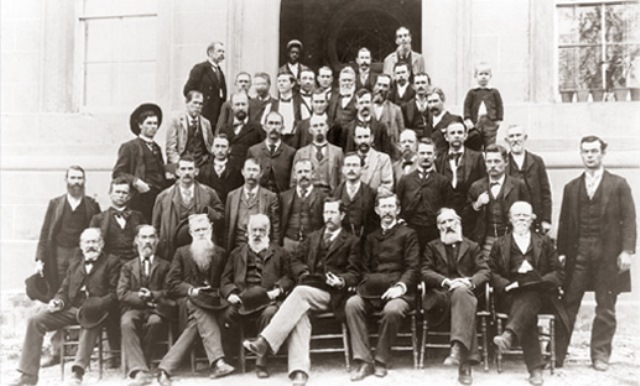 The General Land Office, c. 1870-1874. 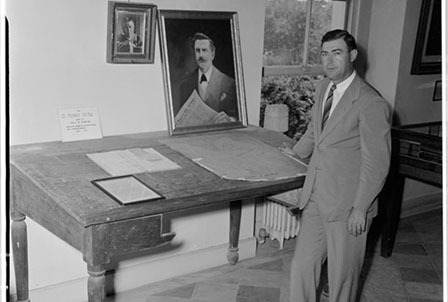 The General Land Office began operating out of its new headquarters. The Land Office Building housed all the maps and records of public land, the most valuable resource Texas had in the 1800s. 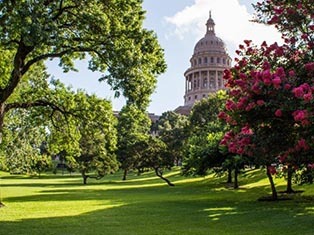 Texas used land to attract settlers, reward soldiers, finance public schools and pay for the construction of the 1888 Capitol. 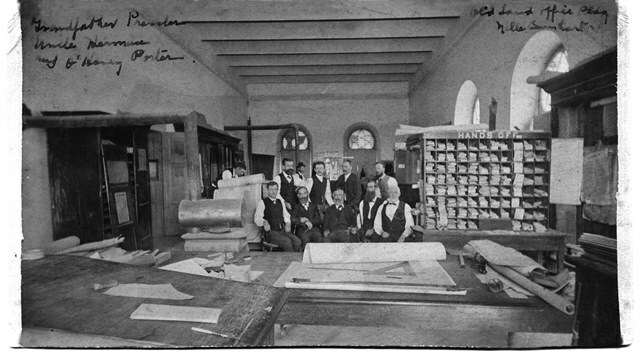 General Land Office employees, including William Porter, in the Drafting Room, c. 1890. 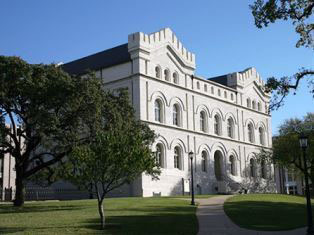 Image Courtesy Texas State Library and Archives Commission, 1962/274-4. 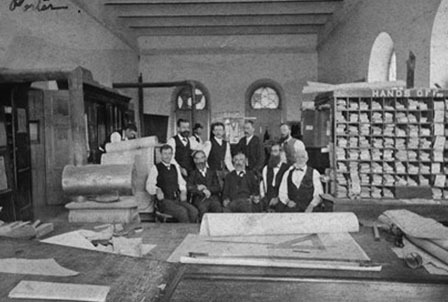 William Sydney Porter (back row, third from the right), later known as the writer O. Henry, worked as an draftsman. For three years, he drew county maps and received a salary of $100 per month. 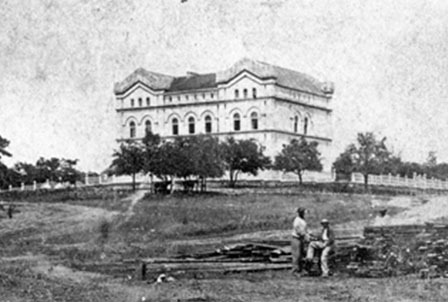 Porter later used the Land Office Building as a setting for two of his stories, Bexar Script 2692 and Georgia's Ruling. 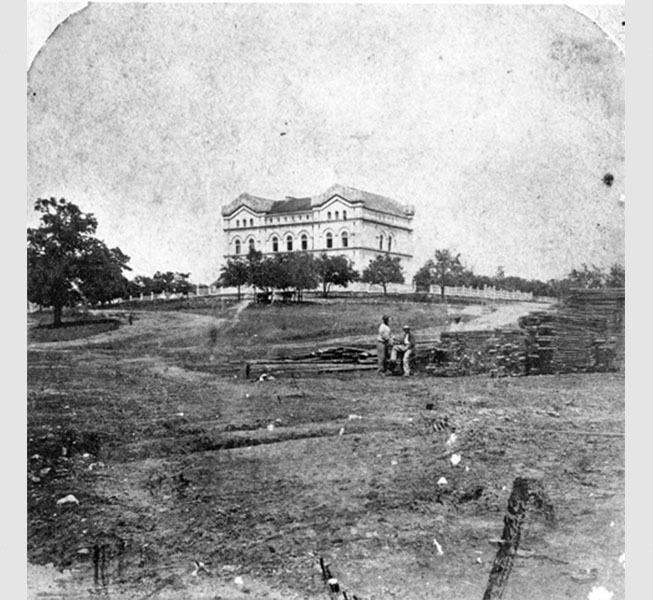 Image courtesy Austin History Center, Austin Public Library, PICA 13287. 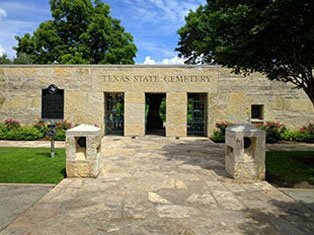 Over the years, the building underwent alterations including the addition of iron shutters and vaults to aid in the protection of the irreplaceable land records. 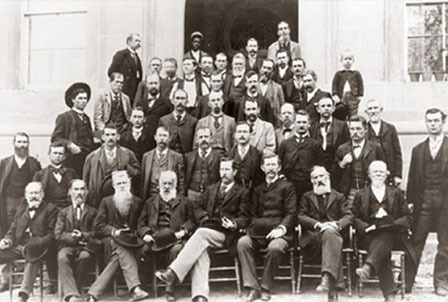 The Land Office operations continued to expand causing overcrowding. 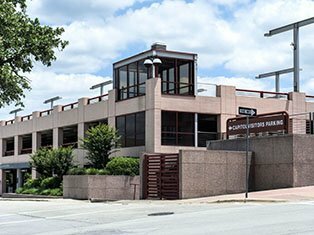 The agency moved across 11th Street to a newly constructed office building. 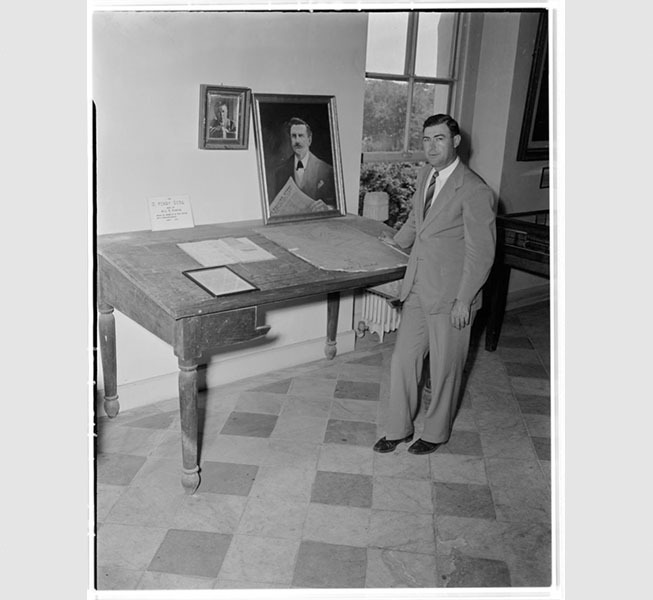 Texas Land Commissioner Bascom Giles standing by O. Henry's drafting table on display in the Daughters of the Republic Museum, March 1954. Image Courtesy Austin History Center, Austin Public Library, Neal Douglass Collection, ND-54-A004-01. 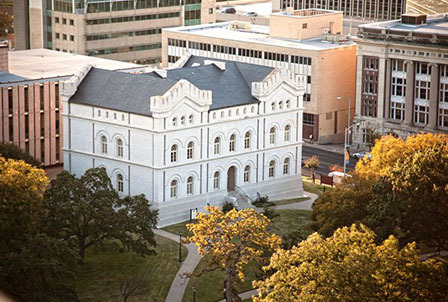 The Daughters of the Republic of Texas and the United Daughters of the Confederacy housed their two museum collections in the former Land Office. 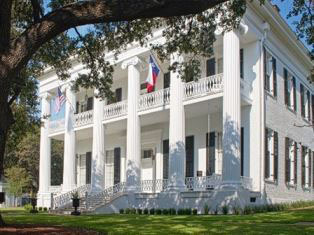 During this era, the building received recognition as Texas Historic Landmark (1962) and became listed on the National Register of Historic Places (1970). 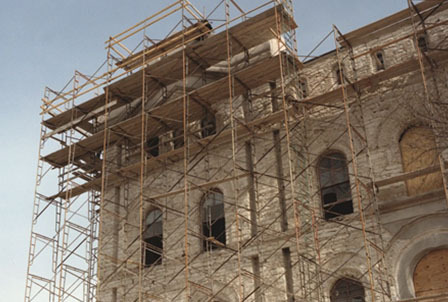 Restoration work on the west façade, c. 1990. By the 1980s, the General Land Office Building stood in a state of disrepair. Structural damage, code deficiencies and the lack of a fire protection system threatened the building. 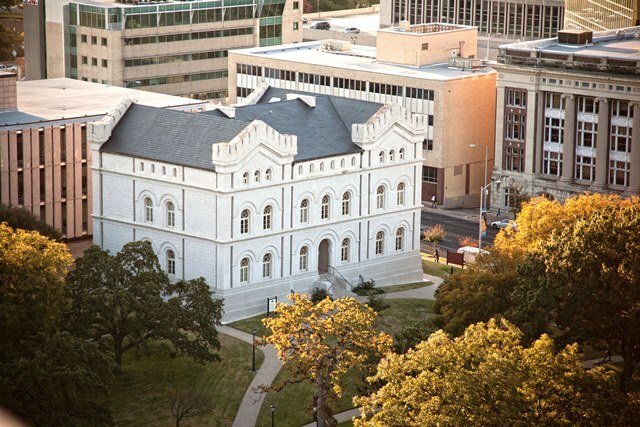 Due to its architectural and historical significance, the State Preservation Board undertook a restoration of the structure. 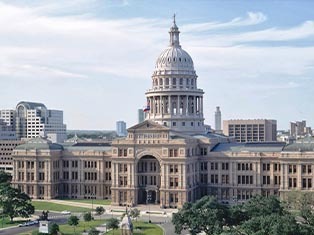 The restoration returned the General Land Office Building to its appearance around 1890 when the Capitol was constructed. 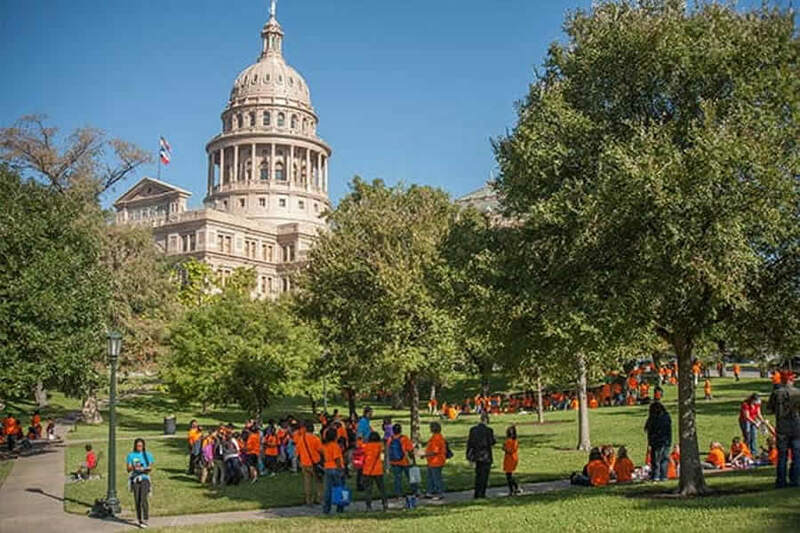 The building opened as the Capitol Complex Visitors Center with exhibits and programs to educate visitors about the history of Texas, the Capitol and the General Land Office. Over 2 million people have come to the Visitors Center since its doors opened.